Hospital in Edmonton, AB. They have 2 boys, Justin and Brett. Justin is presently employed and taking a course in Commercial Fishing at Ashmont, and is residing there with his Uncle Phillip. Brett is going to school and also is taking violin lessons. He is a good student and does well with the violin. He hopes to be in a band some day. Raymond McAuley, my oldest son, is residing in Brandon, MB. Ray is married to Debbie Lawson. Debbie works at Walmart. They have one son, Blaine, who is 12 years of age. Blaine goes to school and is interested in hockey and volleyball. Ray drives a truck for Ready Oxygen that is located in Brandon. Jim Woloshen resides in Estevan, SK. Jim has 2 boys, Kody and Lane, from a previous marriage. Jim has a very reliable job working with large machinery at the mining area in Estevan, SK. Richard resides at the home place and has spent most of his life here. Richard is a very good carpenter and has been employed at many places. Recently Richard did a lot of renovating on the house. Richard has one son, Daniel, and they enjoy going fishing together. Richard is going to make a rock garden for me, as my hobby for years has been collecting rocks of different colors and sizes. Judy was boru on March 27, 1963 to Sadie and Basil Woloshen. She attended Erickson Elementary and completed her Grade 11 at Erickson Collegiate. She received Grade 12 with high school equivalency from the Department of Education in Alberta. Judy married Darcy Anderson on October 12, 1996. They are living in Red Deer, AB. 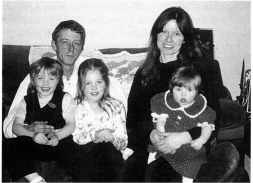 Judy and Darcy have three children: Kayla was boru on February 19, 1992; Adam, on August 5, 1994;Amy on February 3, 1999. Judy works part­ time in the dietary department at the Red Deer Regional Hospital and Darcy drives for Parkland Linen in Red Deer. Basil passed away in 1995. He was a councillor and reeve for many years and did a lot of good work for the R.M. of Clan william. Basil was an honest person and reli­ able. He would have no part in any dishonest deals. After Basil passed away, I was left the 5 quarters of land. 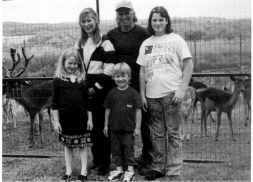 Les and Donna and family and Richard, Daniel and I reside on the home place. It is a family deal and we try to help each other as much as possible. I am mostly at home, here on the farm. I do try to visit my family in Saskatchewan and Alberta. My children in the west can't get time off to visit me as much as they would like. Leslie Harold is the 5th of 8 children of Basil and Sadie Woloshen of Scandinavia. He was born March 19, 1960, at Erickson, MB. Les married Donna Marie Lutz on April 2, 1983 in Grande Prairie, AB where they both lived at the time. Donna is the oldest daughter of Richard and Dorothy Lutz of Moose Jaw, SK. Donna was born on March 21, 1 962 in Regina, SK. Les and Donna have three children, two girls and one boy. Amanda Diane, born August 22, 1987; Megan Dawn, born June 5, 1992; and Jesse Lee, born May 12, 1995. All of the children were born in Grande Prairie, AB. They also had a son, Christopher James, born June 1, 1994, who passed away two weeks after his birth. Les moved to the boomtown of Grande Prairie III 1980. A day after arriving there he went to work at a sign shop where he stayed for a year or so until the promise of better money led him to the oilfield where he worked in the pipeline and general construction business until 1983. From 1984 until 1997 Les worked for Grande Prairie Feed Service. Les, along with two partners, also ran a small home rental business in Grande Prairie during this period. Donna graduated from Grande Prairie Regional College with a Certificate in Office Administration in 1987.